The Linden dollar exchange disaster? 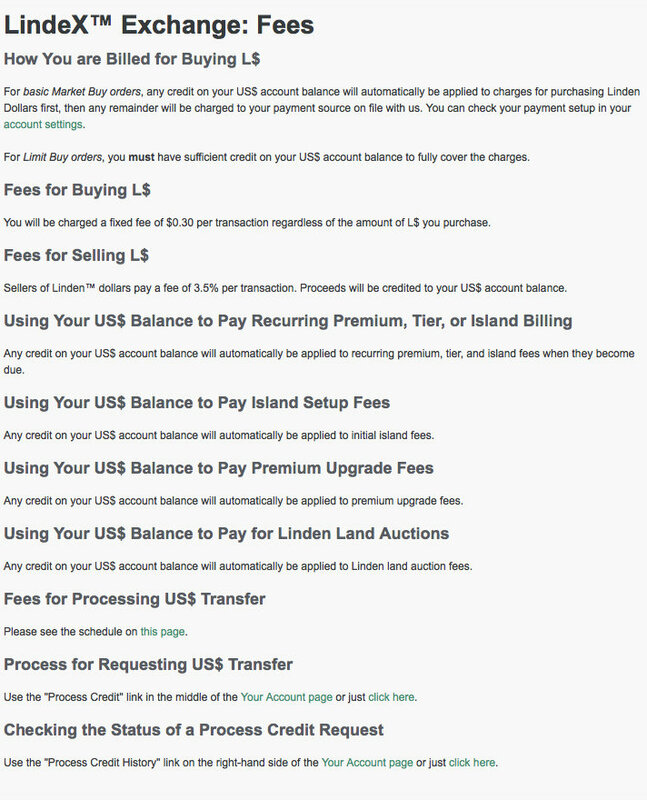 I tried to go onto Lindex, only to discover that the only option is to buy in US$ (unless I’m missing something). I don’t want to buy in US$, for the simple reason that I would fully expect my bank to slap on a transaction fee for US$ to £ exchange. It’s not just £’s. There doesn’t seem to be an option to buy in any other currency other than dollars. I can merrily muddle on in SL for…ooh…weeks, maybe months yet with what L$ I have. I don’t own a house. I’ve no rent to pay. But imagine, this morning, that your rent is due and you intended to buy some L$ in pounds, euros, yen…whatever. Are you stuck? From what I can see, yes. Might you lose your house if you’re not going to be able to pay your rent (unless you make payment in US$ and accept the bank charges likely to be applied. A couple of clicks with my Paypal account used to see the virtual currency land in my inworld presence in a couple of minutes, followed buy a rubbing of the hands and a shopping spree. I would have done something similar this morning, but now I’ll be watching my remaining L$ like a hawk until what seems to me like a fairly serious problem is fixed in some way. Or perhaps I will decide not to engage further with the Second Life economy and simply limit my purchases to freebies and group gifts. Is this really the way forward that Linden Labs envisage? Is it what I want. No, would be the answer in both cases I think. The previous, Paypal system wasn’t broken. It didn’t need fixing. Are Linden Labs hell-bent on wrecking their invention? Each step forward seems to be accompanied by two steps back. Am I missing something? Is there any way in which I can buy some L$ with a £ paypal account? If I can’t, does anyone have any indication how much my bank is likely to charge me? The way Linden Labs mess around with their invention, it would rather seem they don’t want any of us to exist. 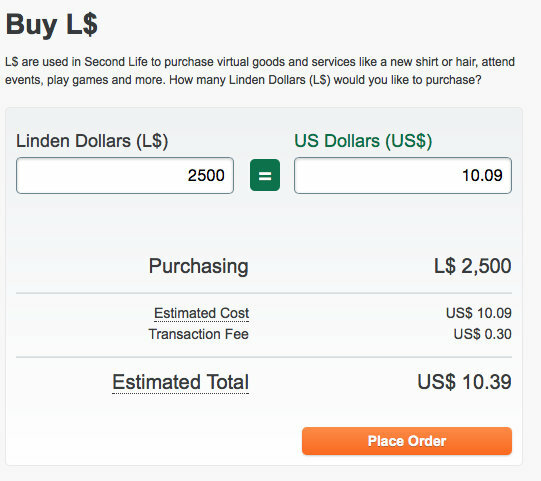 Another poorly thought out Linden Lab disaster! This entry was tagged Linden Labs, Paypal. Bookmark the permalink.